Berkshire has something for everyone to enjoy, with both city and rural attractions a stone's throw away. When it comes to somewhere to stay there's no place better than our recently refurbished country estate, De Vere Wokefield Estate. Here are our top picks from their local companion guide on how and where to spend a weekend in this royal county. Looking for a day out that will keep everybody happy? Then look no further than Wellington Estate. Take a guided tour of the Duke of Wellington’s family home, visit the local farm shop or explore the nearby Country Park, with events for the whole family all year round. Discover a story that started all the way back in the Late Iron Age. With immaculately preserved ruins of the Roman city walls and amphitheatre, we’re certain, you’ll find a visit to Silchester Roman Town both intriguing and enriching. If vintage is your thing, this is the place for you. With four floors full of relics, trinkets and retro clothing, you’ll be all too happy to get lost in the nooks and crannies of this unique emporium. Take a wander around this contemporary brewery and you’ll sample some award winning real ales, from pales to infused stouts and everything in between. Plus, you’ll learn all about the beer making process, and even take a branded pint glass home with you. Set in beautiful rolling parkland, it’s not just the history, Jacobean architecture and pretty gardens that makes Highclere Castle such a special place to visit. The manor is also the setting for Downton Abbey, so you can explore life behind the scenes of the award-winning drama too. Although it may be a little further away than our other local attractions, Bicester Shopping Village is a must visit for any serious shoppers. It has more than 130 fashion and lifestyle boutiques offering discounts of up to 60%. There's also plenty of restaurants and cafés to stop off at including Mayfair's glamourous café The Wolseley opening a branch here soon. Following a £20 million restoration project, both our original mansion house and the modern Wokefield Place have been completely transformed to create a country retreat for today's traveller. Unwind in our new destination restaurant & bar. Relax with a glass of your favourite tipple in our Whiskey Lounge. Whilst upstairs our collection of newly refurbished bedrooms await. 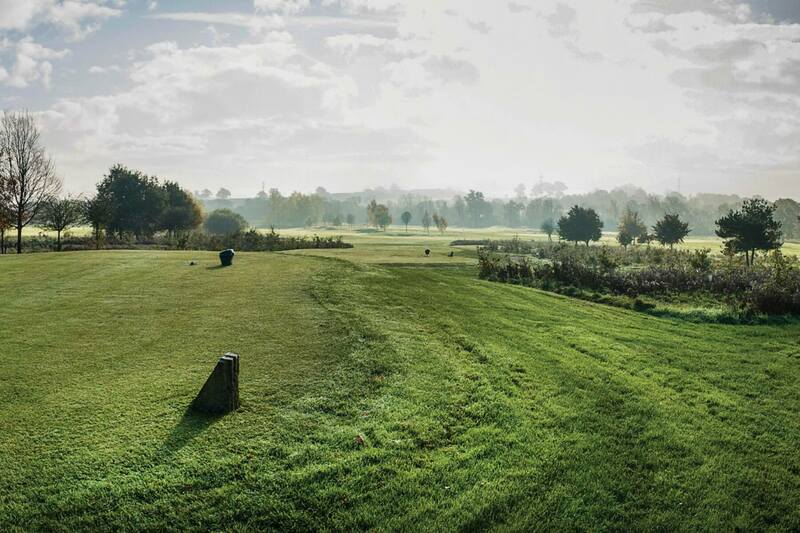 Outside, you can grab a pair of wellies from the boot room and explore the acres of grounds, enjoy afternoon tea on the terrace or play a round or two on our Championship golf course.